Coffee from all parts of the world, prepared by first class Siemens espresso machines and explained by Master Barista Matthias Lincke. 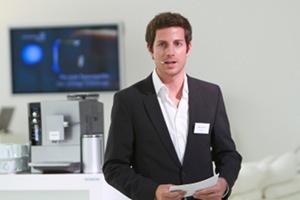 On August 17, 2010 in Munich and August 26, 2010 in Hamburg, I had the pleasure of hosting the official presentation of the new Siemens EQ.7 Plus and EQ.5 automatic espresso machines. 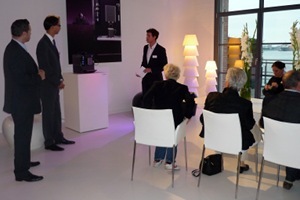 Over the course of an evening rich with culinary delights, outstanding coffee of different origins and presentations by the renowned architects Lars Krückeberg and Thomas Willemeit from Graft many fascinating stories where told and sensuous discoveries where made.